And in some wonderfully fun news (or perhaps incredibly boring news, for everyone but me), I’m ahead of my reading goal for the year! Everything I have to say has been said in every other review I’ve seen. 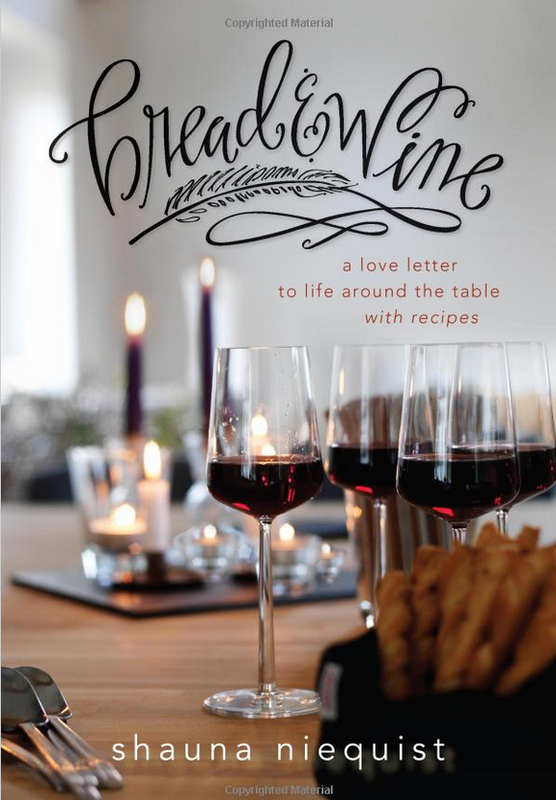 In short, this was wonderful, I desperately want to read it against sometime and mark my favorite bits that time through, and I want to make some of these recipes. Additionally, Shauna made me crave a life that does hospitality better. Every time I set it down I was left wanting to invite people over immediately, feed them, love them. And I did, at one point, entirely because this book reminded me how much I do want people in my house — and that I shouldn’t be waiting forever for a better decorated, less janky, or even cleaner space. This book took me awhile to get through for a few reasons. One, I’m still getting accustomed again to keeping up with physical books in addition to Kindle ones (and this book is STUNNING in hardcover). And two, there were some many bits that I wanted to somehow savor, remember, or mark. I’ve had to learn to just keep reading — to realize that I can always come back to it! Have I mentioned that I don’t consider myself to be a re-reader? I’m not, but I’m battling against that these days — both by acknowledging, as above with Niequist, that whatever lovely bit I just read is something I can come back to if I allow for rereading, but also by letting myself pick up old books and consider them just as worthy as new ones (sometimes). Enter one of my favorite YA fantasy series from my junior high years (or possibly late elementary. I wish I’d always had goodreads!). Tamora Pierce has no lack of good books out there, a good number of them in the same world of Tortall. In addition to this quartet, the Song of the Lioness quartet and the Immortals quartet each take place prior, the Beka Cooper trilogy takes place quite a bit before, and the Daughter of the Lioness duo takes place after. And yes, I know you didn’t really need to know all that in a short review, but it’s my way of telling you how much I love Pierce’s world building, because I have read and loved the often- magical world in all of these, even the last two sets which I read in the last couple of years. Protector of the Small follows Kel between her 10th and 19th years as she trains for her knight shield. 10 years ago, the first woman in Tortall’s recent history earned her shield –while disguised as a man. Her success prompted a law change to allow girls to train as pages and squires to earn their shields, but in ten years, no girls went for it — until Keladry of Mindelan. The quartet follows Kel through her journey to become a knight — and then be one — as she proves to the kingdom that she’s just as good as the boys. Pierce does so well at writing such a great variety of female heroines. I don’t see myself in Kel (at all!) but I still love her, and find myself in the other strong women throughout her writings. And it’s never at the expense of the men. There is a wonderful tearing down of cultural misogyny throughout, but it’s never met with any misandry, but instead is balanced with plenty of strong, well developed male characters. I’m sure these have their faults. It isn’t the best writing of YA (as Nicole @ Infusion of Wit points out, these were written for teenagers pre-Harry Potter!) and they even drag a very little bit, especially on reread. They are definitely older YA with all it’s limitations and pitfalls, but they are also all that I find wonderful in quality fantasy YA: extended, consistent world-building,well developed characters, and magic. In honor of a mutiny of excess, I’ll try to keep this one a little bit shorter. Jen Hatmaker takes seven months and fasts in seven different areas, one for each. 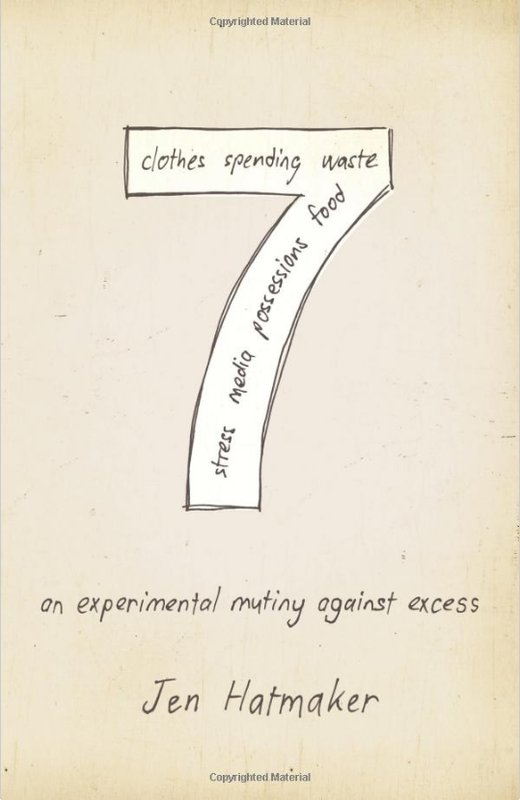 She spent one month with just seven items of clothing, one eating only seven foods, got rid of 7 things a day for another (and quite a bit more), and so on with similar concepts in areas of waste, spending, media, and stress. Although I have no intention of anything as drastic as these month long fasts, this was inspiring to actually be decluttering, something I’m working through more now (and will hopefully keep up!). I’m realizing that this may not be the best way for me to keep up with my reading on the blog. Why? Because, unexpectedly, I have more to say about the books I read than the original Twitter-like concept allows (clearly). On the bright side, with this April post I’m caught up on them for a couple of weeks. And I love all of the books I’m reading right now, so it’s a good time to be rethinking how I do books here. After all, I’m still just figuring all of this out. Besides, I have really got to be braver about tackling less books and more life. So, here’s to what’s to come.